I present to you a handpicked collection of the most hilarious, funniest, custom gifts, showcased here on iSmiledYou blog in the past 2 years. Cool, awesome gifts, perfect for your husband, boyfriend, father, grandpa... the special men in your life. These make great gifts for birthday, wedding, christmas, holidays, father's day, St. Patrick's Day, and more. 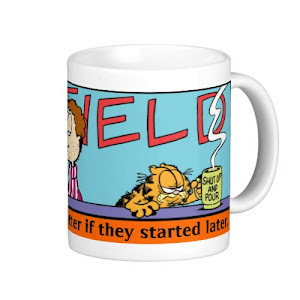 "I'd like mornings better if they started later"
A funny, custom coffee mug, starring Garfield and his owner Jon Arbuckle. The perfect mug for the night owls, and those who haven't seen a sun rise in years. 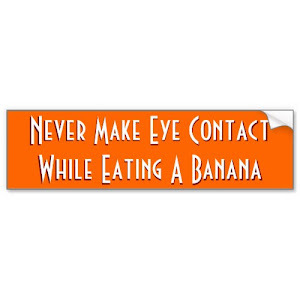 "Never make eye contact while eating a banana"
Priceless advice, time honored wisdom, coming of age truism, funny and humorous. Featured here on a bumper sticker for your car - MUV - SUV - MPV - ATV - van - wagon - truck - trailer - vehicle. The officer said "You drinking?" We just laughed and laughed. Funny, hilarious joke on police, drinking, driving, jail and bail, featured here on a fun, send a smile postcard. A cool, fitting reply, an apt rejoinder. 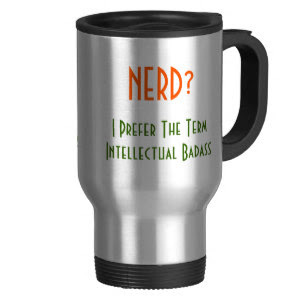 An awesome, funny, humorous, stainless steel beverages travel/commuter mug, for all the brainy, studious guys, young men, who ever get called the term "Nerd". A funny, hilarious, cool, stylish t-shirt for those hell bent on becoming a superhero. 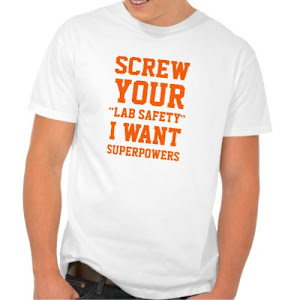 A fun tee for lab technicians, lab assistants, research fellows, research scientists, people in the R&D department of a company, nerds, geeks. Funny, hilarious cartoon poster featuring dinosaurs, Noah's Ark, procrastination, and Oh, crap! A fun poster for all the procrastinators you know. "Bluffing - A pair of balls beats everything!" 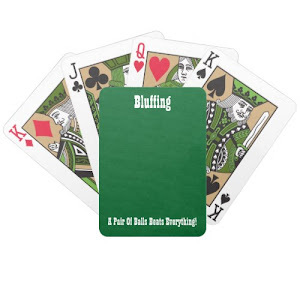 Fun, cool, lucky green, poker playing cards deck, featuring a time tested poker truism on easy to shuffle, semi-gloss Bicycle playing cards. A fun deck for home poker tournament, games room, man cave. 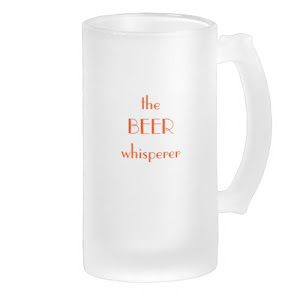 A funny, humorous, cool, frosted glass beer mug, for the wise men, full of wisdom, who enjoy their beer slow. A fun mug for lovers of beer - all glorious, varied avatars of it - lager, ale, stout, draught, craft, and more. 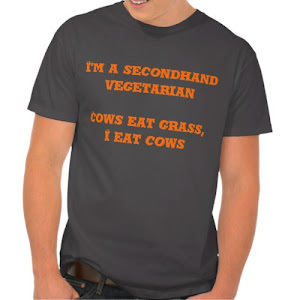 A fun t-shirt for all the meat / beef / steak / BBQ lovers of the world. Great for a BBQ party, a carnivorous meal with the family, or while chilling out with friends. 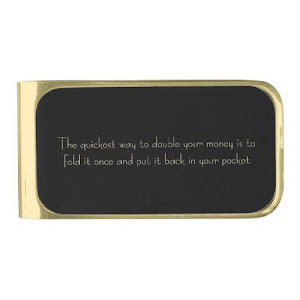 "The quickest way to double your money is to fold it once and put it back in your wallet"
A custom, slim, brass metal, money clip bill holder, featuring a wise, funny, humorous, money management quote / wisdom. Makes a great gift for anyone struggling with living beyond their means, or anyone who has begun earning a living. 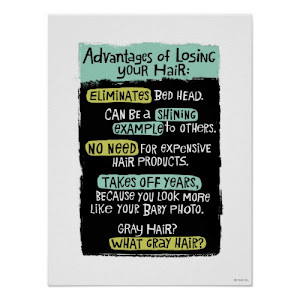 A funny, humorous poster revealing the marvellous, genuine advantages of being bald. Fun poster for all your bald friends, the baldies in the family, the baldheaded colleagues in your place of work, those who are struggling with hair-fall, or have a bald patch that's on the way to being a full moon. A fun, soft jersey cotton, contoured fit t-shirt. Great t-shirt for lovers of beer. Fun t-shirt for weekend get togethers, BBQ parties, partying and pub hopping with friends. Funny, hilarious joke involving the police, driving, and the Japanese origin game "Rock, Paper, Scissors!". 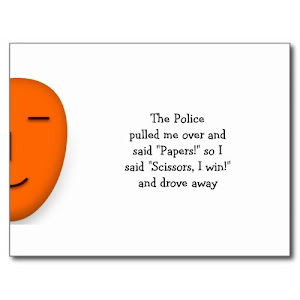 Fun postcard to send to friends, family, your favorite police personnel, and to fans of the Police. 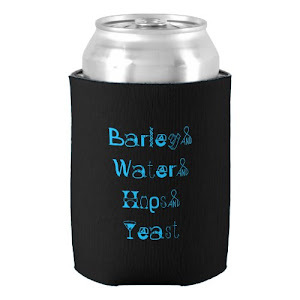 A fun, cool, polyurethane foam, beer can koozie / cooler, to keep your favorite beer - lager - ale - booze chilled. Great for tailgating, game day, local club matches, sports days, outdoors, wedding, and more. 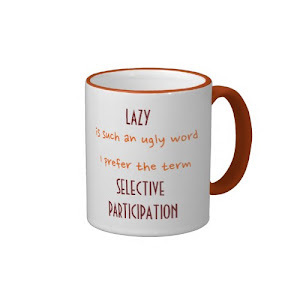 "Lazy is such an ugly word, I prefer the term Selective Participation"
A funny, hilarious, custom coffee mug for the lazy people, featuring a more refined, accurate, preferred term for their predicament. 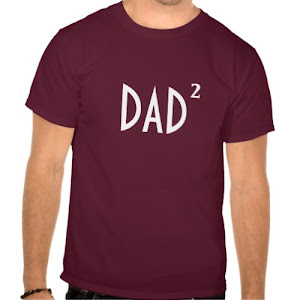 Cute, funny, cool, nerdy, geeky, custom t-shirt for Dads, featuring the word "DAD" followed by the number of children he has - denoting the number of times he's a dad. A fun tee for fathers. You may personalize it by entering the number of kids, the dad you are gifting this to, has. 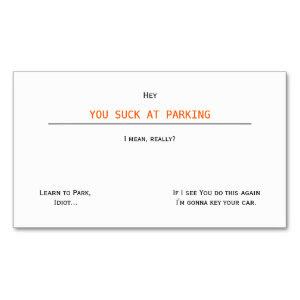 A funny, humorous, rude, offensive business card, to express your frustration, anger, and a warning for bad parking. Perfect card to leave on the windshield of those who double park, don't leave enough space for you to get into your car, or park in a way that makes it difficult for you to move your car out. 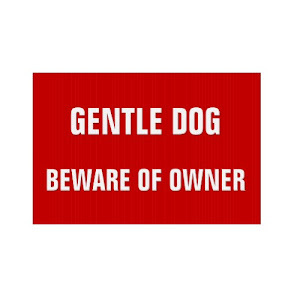 A funny, hilarious yard sign for owners of private property and a dog, featuring a warning for trespassers. A fun, weather and stain resistant, custom yard sign for your yard, lawn, front gate, entrance to your property - factory - farm house - farm land - business premises - private area. "When a man says he'll fix something, he means it! There's no need to remind him every six months!" 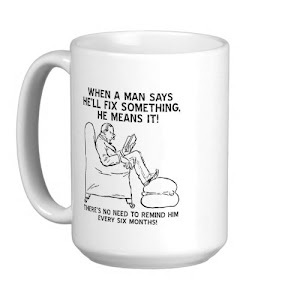 A funny, hilarious coffee mug for the men in your life, featuring great piece of advice - pearls of wisdom - for the wives, life partners, the other halves. 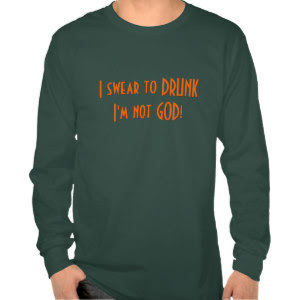 Funny, hilarious, green, casual comfortable loose-fitting long-sleeve heavyweight t-shirt. A fun t-shirt for beer lovers, for men who love their drinks. Great t-shirt for St. Patrick's Day parade, and for partying and pub crawling with friends. 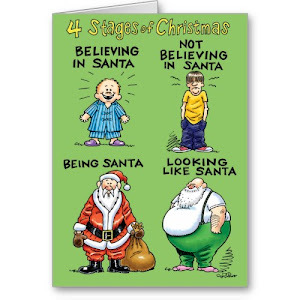 Funny, hilarious, cartoon christmas card, on the four stages in a man's life, and the four stages of christmas. A fun card to spread smiles this Christmas. 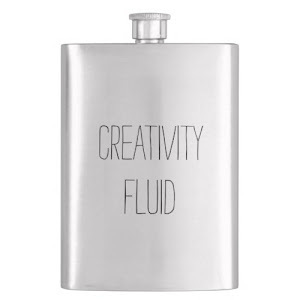 A funny, classic, stylish, stainless steel, hip pocket drinking flask to keep handy at all times your favorite alcohol, liquor, whiskey, rum, vodka, wine. Cool gift for people who are on the road travelling most of the time; or who love being outdoors - camping, hiking, fishing, hunting; and for friends in the creative field who love their drinks - artists, writers, designers, actors, and more. A fun mug to tell someone know, how lucky they are. Ladies, go ahead, express yourself. A funny, humorous, hilarious coffee mug, featuring awesome, true words from the wife, girlfriend, sister, bride, better half for her life partner, other half, hubby, boyfriend, groom, brother, husband, sibling. "I went outside once, the Graphics weren't that great"
A cool, funny t-shirt on graphics, video games, and the real outside world; for gamers, gaming geeks & nerds, diehard pc - xbox - playstation - wii - video game fans. Each of these fun gifts is customizable. You may change their color, style, and size, to your liking. You may even add photos and text (initials, greetings, note, message) to them. Go ahead, spread some smiles with these gifts. And if you like the collection, do share this list with friends & family. Thank you for your support!